Coma Cluster Void stirred up plenty of dissonant madness on their debut, 2016’s Mind Cemeteries. Conjuring up images and sounds of the most forward-thinking and crazed music out there (a la Pyrrhon and Imperial Triumphant), they brought forth some eerie and chaotic material in a way that brought them into a path of their own. The 1-track, 21-minute “Thoughts from a Stone” continues their eccentric and unique growth in ways that lovers of the truly extreme should find exciting and unsettling. It takes both finesse and a willingness to go around the rulebook when devising songs that push past the double-digit barrier. 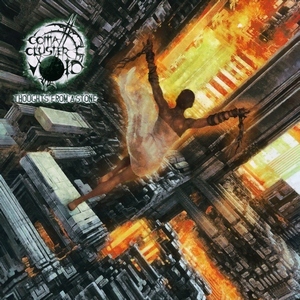 Coma Cluster Void seems to double-down on what worked for them with their previous effort and develop it into new and interesting directions. Three vocalists share some screaming/growling duties (Mike DiSalvo, Austin Taylor, and Genevieve DiSalvo), which gives it an unpredictable aspect in vocals alone. Bassist Sylvia Hinz may be the one that ends up terrifying the listener the most though from a vocal perspective, with some haunting poetic spoken-word segments that can be chilling (in the best way). But a song like this isn’t exactly all about the vocals, and the ambience and atmosphere make or break it. While the band can toss the fury and chaos up to 11 when needed (and do on several occasions), it’s the feelings of dread and despair that feel the most urgent. Unnerving, dissonant riffs lurk among cello and occasional violin to create a bleak and intriguing blend. There’s the feeling that you don’t know what is coming around the next corner – some math-y riffs, unhinged growls, frantic blastbeats, murky atmospherics, ritualistic spoken word, or rumbling low-end. Expect the unexpected as the song continues to progress. 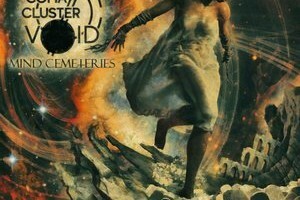 Like its predecessor, don’t expect to grapple with everything that Coma Cluster Void has done on the first few listens. They set the extremity bar quite high, and the unique setting is one that can take some getting used to. But patience is rewarded with an album that feels as innovative as it does twisted. Equally spooky and engrossing, Coma Cluster Void is a band to watch as they continue to rise.